Our spine is straight in the coronal plane (front view) but has smooth curvatures like lazy ‘S’, in sagittal plane (side view). But we can have abnormal curvatures and bends in spine called spinal deformities. They can be secondary to trauma, infection, tumors or degeneration and most commonly congenital or developmental called idiopathic scoliosis. 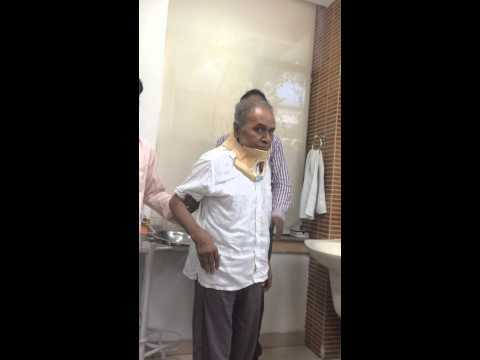 Deformity in sagittal plane is called as kyphosis and in coronal plane called scoliosis (kubad, in Hindi) If not treated adequately and timely, it keeps increasing and produces many complications, besides cosmesis. Deformity surgery requires expertise in the field, with special training. As this surgery is major and sought with complications. With the advent of robotics, image guided surgery and neuromonitary, this surgery has become safe and predictable. It is a long, elective and expensive surgery, and requires detailed planning. Modern techniques and instrumentation provides safe and excellent correction and results. We boost of a long list of satisfied patients, operated for wide range of spinal deformities. We do meticulous planning and performed it with image guidance and neuromonitaring.